Andrew Rose is a historian who has written biographies based on controversial criminal trials of the last century, exploring a rich backdrop of contemporary social, legal, and political issues. Wide-ranging experience in his former career as barrister and judge has helped Andrew delve deeply into the dramatic lives of all sorts and conditions of folk, saints and sinners alike. He was shortlisted for the Gold Dagger Non-Fiction Award of the Crime Writers’ Association. 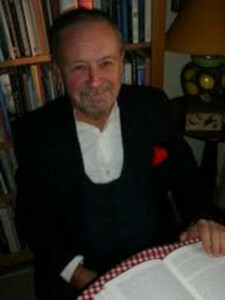 He has contributed to several television productions including Edward VIII’s Murderous Mistress on Channel 4, which was based on his book about the same subject.